Liquid Robotics, an ocean data services provider and developer of the Wave Glider — the first wave-powered, autonomous marine robot — launched the PacX Wave Gliders from the Big Island of Hawaii on Monday on the final phase of a first-of-its-kind scientific expedition across the Pacific Ocean. Continuing their record-breaking journey across the high seas with approximately 5000 nautical miles until their final destinations of Australia and Japan, the Wave Gliders have collectively already traveled more than 13,000 nautical miles. This is more than twice the distance from San Francisco to Tokyo, Japan. During their voyage, the Wave Gliders are collecting and transmitting in near real-time, unprecedented amounts of ocean surface data on a scale never before continuously collected across the Pacific Ocean. 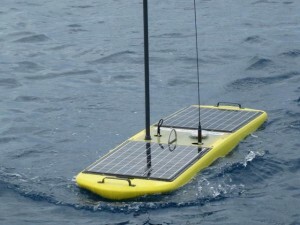 Sensors on the Wave Gliders are collecting continuous data on water currents and waves, weather conditions, carbon and oxygen levels, water clarity (turbidity) and other critical ocean data vital for weather forecasting, global climate change, environmental monitoring and other commercial applications such as shipping, and fisheries. The purpose of the PacX ocean crossing is to foster new scientific exploration, new discoveries, and to ignite interest in science worldwide — especially with school children. Towards this end, Liquid Robotics is creating a Young Innovators Program. Targeted at students from middle school through high school to stimulate their interest in marine science, robotics and Met/Ocean observation (oceanography, meteorology, weather), this program enables students to use the PacX data to compete in their state science fairs and other scientific/STEM competitions. The roll out of the program will begin over the next 30 days. This initiative comes on the heels of a recently unveiled study called The Nation’s Report Card from the US Department of Education that shows more than two-thirds of America’s 8th graders are missing a solid grasp of science principles. The results vary from state to state but deliver incontrovertible evidence that schools are leaving American children unprepared for college and the work force. More than 1,600 people around the world have downloaded the data and are following the robots’ journey. The PacX data is available free to anyone who registers at www.liquidr.com/pacx/pacxdata. Additionally, the PacX Challenge scientific competition is open to anyone worldwide who wishes to compete. 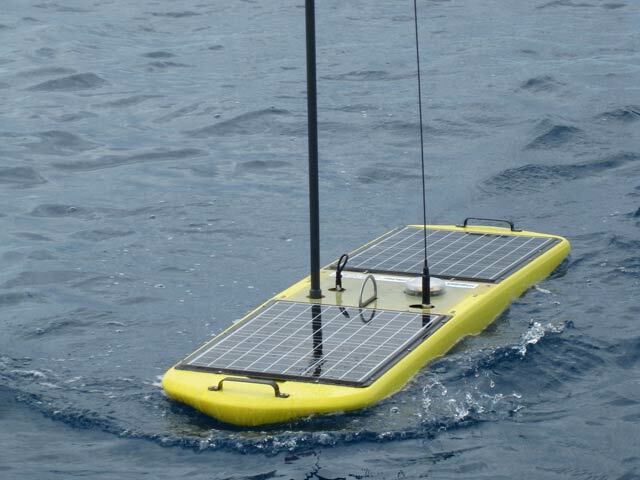 The grand prize award is $50,000 and six months of Wave Glider data services. Abstracts are due July 17, 2012. Learn more on liquidr.com/pacx/challenge. During the voyage, one pair of robots will travel to Guam and cross the Mariana Trench, the deepest place on earth, on their way to Japan. The second pair will travel to Fiji on their way across the equator on a route to Australia. The journeys will end in late 2012 or early 2013. The Liquid Robotics Wave Glider is the first marine robot to use only the ocean’s endless supply of wave energy for propulsion (no manpower, no emissions, no refueling). The Wave Glider employs a multi-patented design that allows it to cost effectively collect and transmit data gathered during missions lasting years, over distances of thousands of miles, or while holding station. Data gathered by Wave Gliders will help us address the biggest challenges our marine environments face – including ocean acidification, fisheries management, global climate change and natural disaster mitigation. Liquid Robotics, Inc. is an ocean data services provider and developer of the Wave Glider marine robot that functions as a persistent and versatile platform for scientific and industrial applications. Based in Silicon Valley and Hawai’i, the company is enabling dozens of applications and missions never before attainable through its Wave Gliders. Liquid Robotics is backed by VantagePoint Capital Partners. For more information, visit www.liquidr.com.